Engineering During the Civil War—A STEM Opportunity! In the Know: What Permits are Needed for Outdoor Recreation? 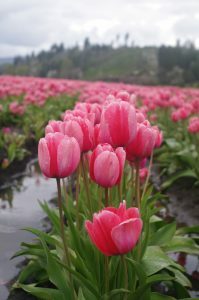 If you long to enjoy the vibrant colors of springtime tulips, or perhaps to roam through the late summer wildflowers, DeGoede Bulb Farms off scenic Highway 12 in Mossyrock is the destination you cannot miss. Originally established in Mt. Vernon, Washington, in 1951 by Henry and Hildegarde DeGoede, the family business has been thriving since it was moved and officially planted in Mossyrock in 1976. 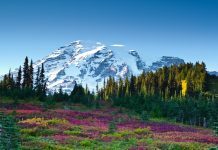 Because of its convenient location between Seattle and Portland, as well as its fertile Cinebar Silt Loam soil, the fields are always filled with an abundance of plants, blooms and visitors. With 300 acres to manage and millions of plants to tend and sell, the business is divided into three components – field production, the greenhouse and the retail division. Current owner Jack DeGoede (Henry and Hildegarde’s son), primarily oversees the field production, tending to more than 2 million flower bulbs and 4 to 5 million perennial plants in the massive 300-acre field. With the fields blooming an average of 10 months out of the year, there is always something new, fresh and colorful to see every week. Starting from April to mid-May each year, tens of thousands of guests simply cannot resist the vibrant, expansive tulip fields, ushering in the spring season. The unique attraction is a rarity, and is the only tulip field in Washington State besides the ones in Skagit Valley far to the north. “For people coming from other parts of the country, it’s kind of exotic to see a bulb farm. You don’t see bulb farms in a lot of the states,” said Jack DeGoede. Tulip fields are rare throughout the United States, with the most prominent festivals being held in Oregon, Michigan and North Carolina. Being immigrants from the Netherlands, Henry and Hildegarde wanted to spread the beauty of their home country in the Pacific Northwest. “It’s kind of like a little Holland,” said Jack. But the business also spreads far beyond the fields. In the greenhouse/container division, plants, seeds and bulbs are cultivated, potted and shipped throughout the United States (and even Canada), making great gifts for the home and garden. For Mother’s Day, seasonal tulips, daffodils or hanging baskets are a wise choice, while peonies remain a classic and elegant choice for summer weddings. Perennials and annuals are excellent choices for late summer and fall, while the red poinsettias are a must-have for the holiday season. With five acres of greenhouse production, there is a plethora of flowers and crops to choose from. While you’re at DeGoede’s, don’t forget to drop by the gift shop and browse the wide variety of farm-grown perennials, annuals, houseplants, pottery, garden supplies and anything else you could possibly imagine for your garden. A bouquet of fresh cut flowers is a must, and don’t hesitate to ask the retail manager, Gayle, any questions you have about gardening. “We have a pretty diverse mix of materials in the gift shop,” said Jack proudly. For tourists traveling far and wide, Jack insists that they visit the display garden, allowing them to stop, rest and take in the shaded beauty of the private garden, complete with a windmill surrounded by a radiant display of tulips. The secluded location outside the gift shop is ideal for a picnic lunch or simply taking a nice rest after walking through the fields. A trip to DeGoede’s also wouldn’t be complete without visiting Henry and Hildegarde’s final achievement – the prayer chapel. As a way to give thanks to God for their lives and marriage, the couple built the Our Lady of Guadalupe prayer chapel on a quiet portion of their property, which includes a hiking and prayer trail leading to a large concrete cross. The chapel is open to the public year-round from 8:00 a.m. – 6:00 p.m., and all are invited to explore, meditate and reflect upon the legacy of the DeGoede family. Speaking of legacies, Jack, his son Alex, his brother Bob, and over 100 staff work year-round to keep the fields, greenhouses and retail divisions running efficiently. 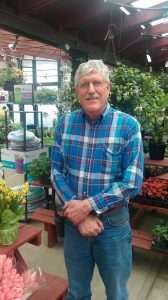 Despite the hard work of planting, unpredictable weather patterns and tough competition, Jack says his favorite party is interacting with customers and working hands-on with plants. “I was born in it, and I don’t know anything else,” said Jack. Rich in history and full of life and beauty, DeGoede Bulb Farms is a must-see for your bucket list, no matter what time of year. For more information on dates and hours, retail or the container division, please contact the main office at 360-983-3773. 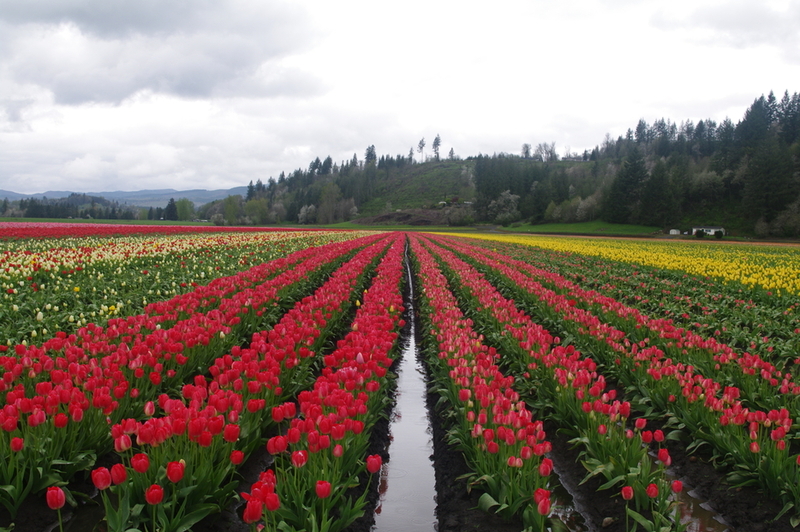 DeGoede Bulb Farm is located at 409 Mossyrock Road W. in Mossyrock. Enjoy stories, rhymes, songs and movement games followed by 30 minutes of unstructured play. This is an early learning program. Alternating weeks of storytime and sensory play for babies and their participating caregivers. This is an early learning program. Music, movement, and books for toddlers and their participating caregivers. Includes 30 minutes of unstructured play. This is an early learning program. Every second and fourth Thursdays. Hang out with friends, play Magic the Gathering and board games and eat snacks. Newcomers are welcome! LewisTalk is a community social network delivering positive stories about what it’s like to live, work and play in Lewis County. Advertise with LewisTalk. Brand your business and tell your story to your target market.